This is Gloria who we adopted from Beverly Animal Shelter. Her name is now Syco Shianne. 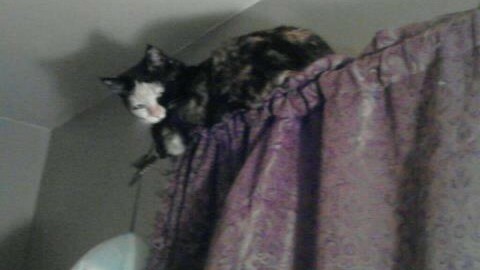 This is where she sleeps at nite- over my head on the curtain rod!